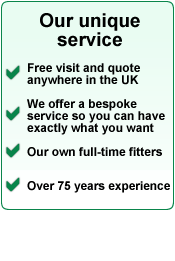 Firth UK Ltd is a family business specialising in the manufacture, supply and installation of windows, doors, conservatories and bespoke joinery with heritage dating back to 1935. All of our products are manufactured to the highest standards in Sheffield by our long-standing team of craftsmen, using the finest quality timbers from sustainable sources. At Firth UK, we also provide a Windows for Listed Buildings service and a Replacement Windows service for buildings in a Conservation Area. Similarly we have been involved with barn conversions and other architectural projects including school and church refurbishments. Make your home as individual as you are. We are verified by Stroma to ensure that we meet current UK Building Regulations and we confidently back our timber products with a 10 year manufacturing guarantee.